This sounds really great…a little spicer maybe. Also a great alternative top the heavily breaded General Tso’s…. ooooo Chinese food straight from the slow cooker after a long day at work….I’m loving this idea 😉 This looks great! I love all kinds of Asian Chicken recipes. This one looks so good! 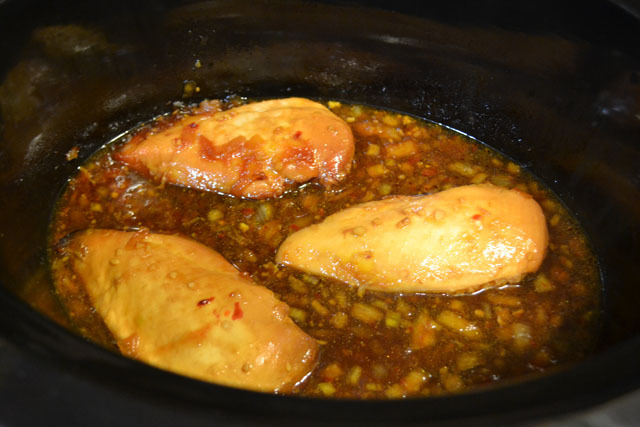 I just pulled chicken out of the freezer to make sweet & sour chicken tonight but I think I’m gonna make this. Better go put it in the slow cooker so it’s done before bedtime! I think I made a recipe just like this last week–it was very tasty. Great SRC pick. sounds good. I pinned a similar recipe not long ago. I LOVE chinese food!! 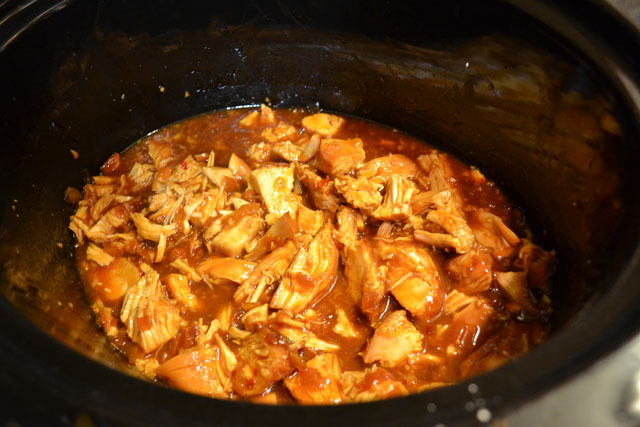 I love a super tasty slow cooker dinner and I especially love Asian flavors. This sounds like the best of both worlds! This is an awesome dish! Yummy! I added chili sauce as well. Absolutely fabulous and quick! Chili sauce would be great in it. I’ll have to give that a try! yum! A nice and easy (not to mention) delicious! This looks super yummy. 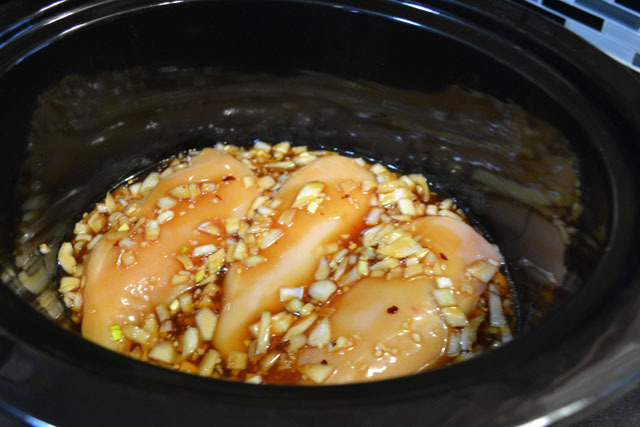 I love using my crock pot, and this is a definite must-try. Thank you so much for being a member of the Secret Recipe Club and sharing your cooking talents with us. I’m sorry but this recipe did not work for us. It was SO sweet that all we could taste was honey. The other problem is that even after 6 hours of cooking, the chicken was chewy. I had added carrots to the recipe and those did not cook through either. I think the sauce needs something more water based to cook the food better. Maybe cooking it for 6 hours made it chewy because the intended time was much shorter? 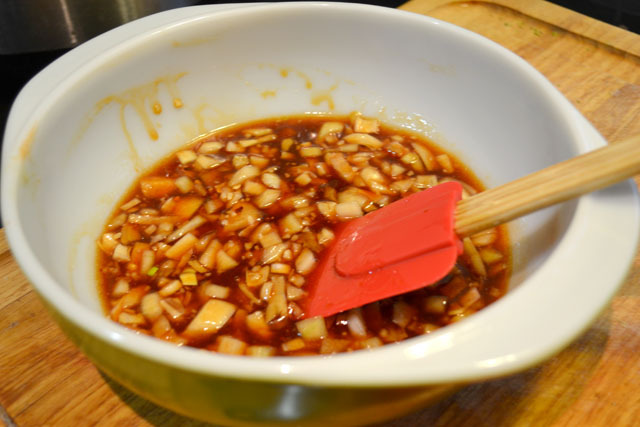 It is a sweet recipe, which I did say, if you prefer something spicier then maybe add some sriracha, chili sauce, or red pepper flake to the mix.